KP is the equilibrium constant for the generic reaction of Eq (9.5). 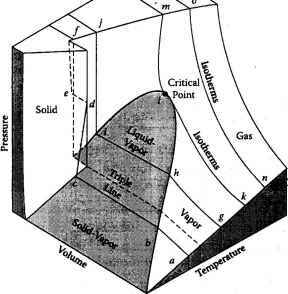 The subscript P indicates that the concentration units are the partial pressures of the reacting species. The first equality in Eq (9.20) is a form of the law of mass action. This "law" relates the partial pressures in the equilibrium reacting gas to a constant (KP) that is a function of temperature only. The last equality in Eq (9.20) shows that the basic properties of the reaction are AHo and ASo.